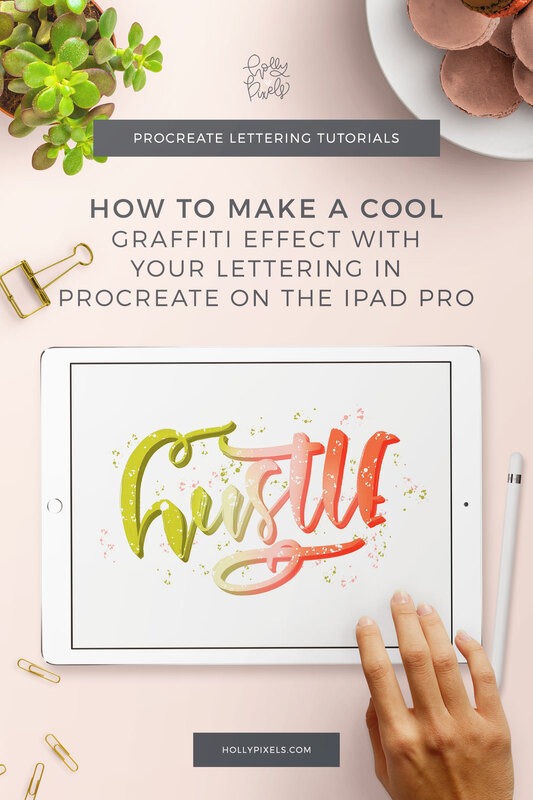 Ever wonder how to create a long shadow in Procreate? The trend of using long shadows has been making a comeback lately. 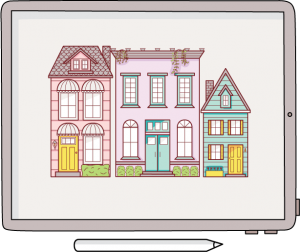 It’s a way to give a design depth, but still, have that flat feel to it that’s popular. 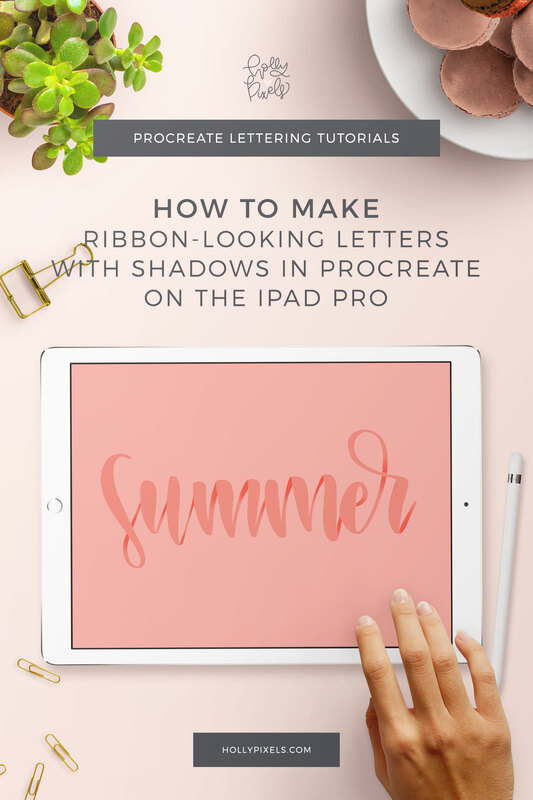 In this post, I’m going to show you how to create a long shadow in Procreate. What is a Long Shadow? To me, a long shadow is a realistic use of shadows where a light source is coming from an angle. The letters or icons act like branches on a tree, blocking the sunlight in some areas. Then, to make the effect complete, you create a gradient of the shadow just like you would see in real life. The light fades as it gets further away. I’ve done plenty of long shadows in Photoshop and Illustrator, but my go-to app is on my iPad Pro, Procreate. 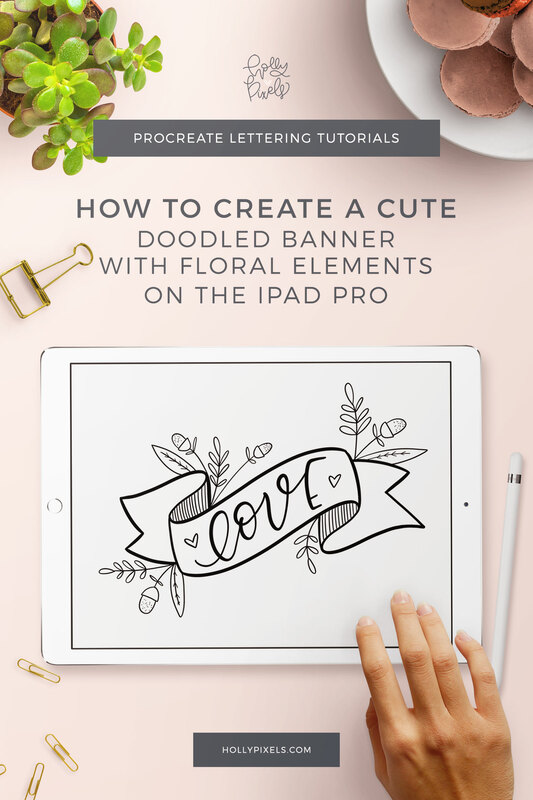 I love this app and how I can do much of my brush lettering projects while sitting anywhere in the house. Take a look at this video to see how simple it is to create long shadows in Procreate. 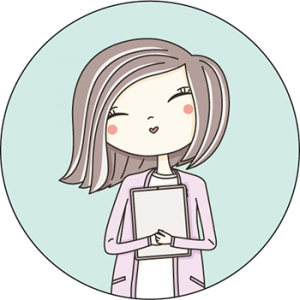 First, write your word or words. Next, on a new layer above the background layer in Procreate, fill it with black and then angle the black square. Resize the new black angle layer so that the outside edges are touching the outside edges of your words. Next, draw guidelines on new layers where the sunlight would guide you to either see a shadow or light. Finally, erase away the areas of shadows at the top of your design using the guides on where to start and stop. 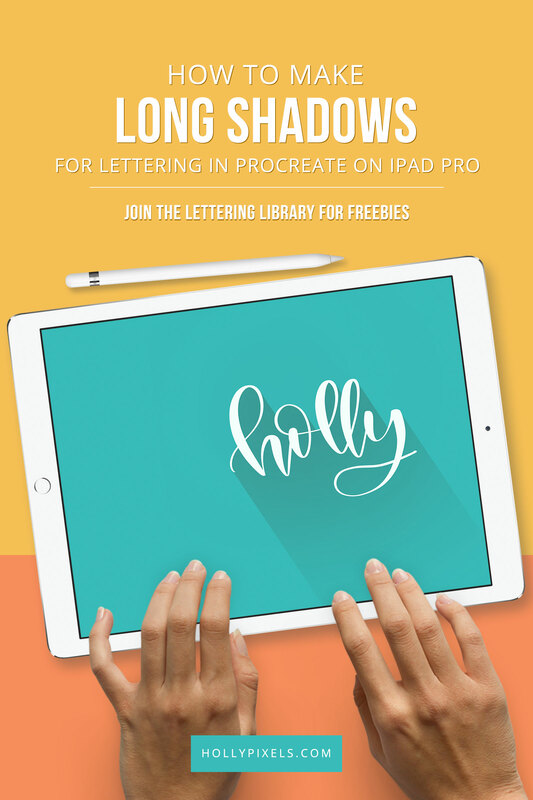 Show me your long shadows projects on Procreate! 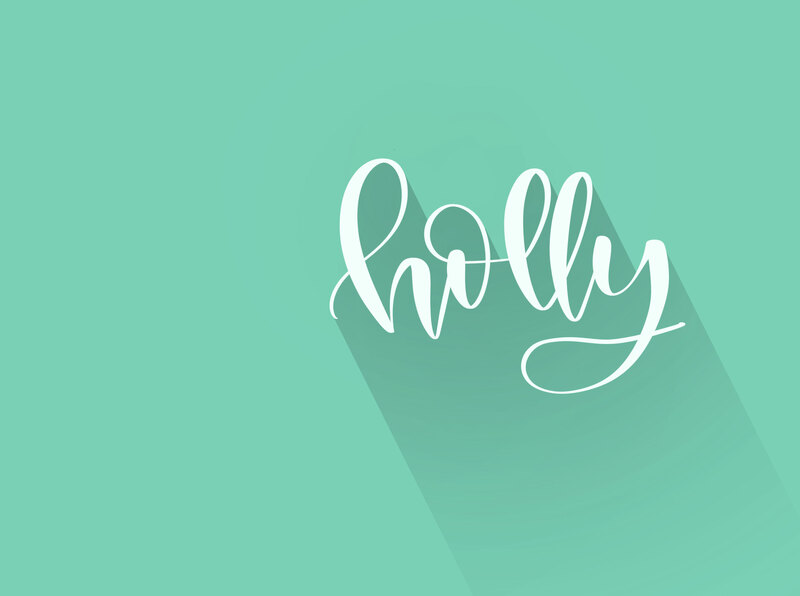 Be sure to tag me @hollymccaig on Instagram so I can see and like your work!